The UK newspaper The Telegraph carries a report today (Ist Dec 2010) on the nation’s viewing habits at Christmas. A survey, commissioned by TV channel Gold, gives details of what the public say are their most memorable festive TV programmes. Actually Aled Jones didn’t sing ‘Walking in the Air’ in the film. The correct credit should go to Peter Auty, who went on to become a well known opera singer. The mix up occurs because Aled Jones sang on the recording of ‘Walking in the Air’ that reached number 5 in the UK charts in 1985. 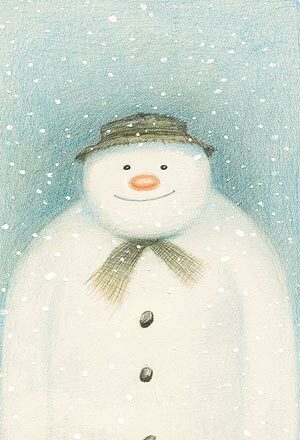 For Christmas 2010 The Snowman will be broadcast in the UK on Channel 4 on Friday 24 December at 1:20pm. Since its first broadcast in 1982 the film has been broadcast on Channel 4 every year except one. The Sun newspaper ran an interview with Raymond (Dec 23rd 2010) with the headline “I Hate Christmas” – although it turns out it is the run up to Christmas that Raymond is objecting to rather than Christmas day itself !